The Toccoa Falls College Music Department will be hosting its annual Candlelight Concert on Thursday, December 6th at 7:30 pm in the Grace Chapel and Performing Arts Center. This is an annual event that is free of charge and open to the public for all to enjoy. The Concert Band performance will include three beautiful pieces of instrumental literature evoking the Christmas spirit. One selection, “Christmas Day,” is an exciting fantasy on some of the Old English Carols we all know and love, including God Rest Ye, Merry Gentlemen, Good Christian Men, Rejoice, and the timeless classic The First Noel. 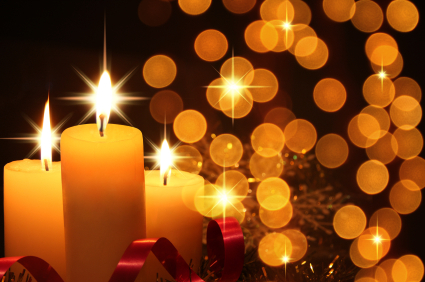 Another piece, “Candlelight Carol,” is a beautiful orchestration of a choral work by the composer John Rutter. Kayla Beggs, a senior Music Performance major, will perform an arrangement of the classic Tchaikovsky piece “Dance of the Sugar Plum” on classical guitar. Following a short carol sing, the Jazz Band will take the stage and feature several selections ranging from jazz-styled traditional carols to holiday favorites performed in exciting “big band” format. “A Charlie Brown Christmas,” a medley of music by Vince Guaraldi, will be sure to remind listeners of the nostalgia of gathering together and tuning in to the 1960’s Charlie Brown Christmas television special in years gone by. Please join us! The Candlelight Concert is free and open to the public and at the Grace Chapel Performing Arts Center on the campus of Toccoa Falls College.